Russian MMA fighter Aleksandr Emelianenko has grabbed another victory in the ring, getting the better of Miodrag "Pele" Petkovic of Serbia in the main event of the Pankration Tournament in Baku, Azerbaijan. Emelianenko was the dominant force in the clash, needing less than three minutes to knock his 40-year-old opponent out. It was the 20th win on the MMA record of the Russian fighter. In his previous match, held in Moscow in April, he faced Eddie Bengtsson, and also won by knockout, coming after only 44 seconds. "Our goal is to popularize mixed martial arts among young people, to develop this sport, make it as important as the other martial arts. 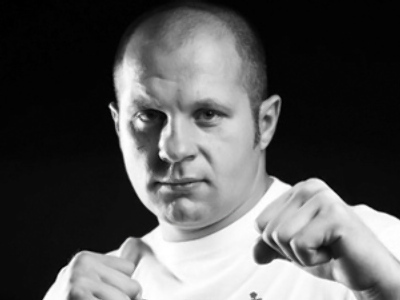 With my own example I can draw a lot of young people to the gyms,” Emelianenko said. The members of Emelianenko’s “AE Team” were also at their best in the other fights of the night, winning all of their bouts except one, which ended in a draw. "All the boys from the AE TEAM have produced a dignified display, delivering bright and colorful battles. Despite the short preparation for this event, they were able to adapt quickly to the new rivals and showed their professionalism," the 28-year-old added. Aleksandr Emelianenko has made his name in mixed martial arts fighting, in which he first appeared in the ring in 2003. He also launched a boxing career last year, drawing his first professional bout against countryman Hizir Pliev. Aleksandr is the younger brother of Fedor Emelianenko – the man regarded by many as the best mixed martial arts fighter of all time and the “Baddest Man on the Planet”.